The Democratic Republic of Congo was faced with the challenge of holding national elections in 2006, 45 years after the previous elections that resulted in the assassination of the first elected Prime Minister in 1961. The DRC was then ruled for over 25 years by dictator Mobutu Sese Soku. The past decade has seen the DRC endure civil war and constant violence in a never-ending struggle for power in the under-developed central African nation. 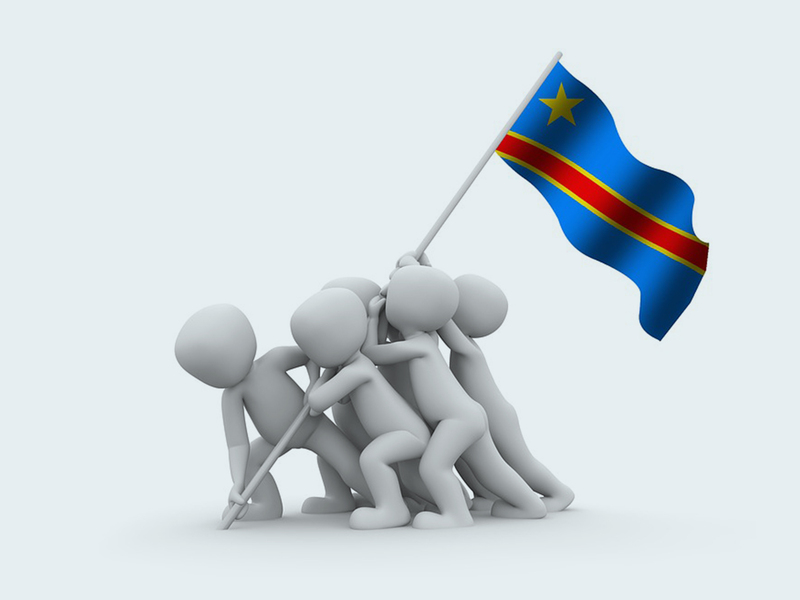 In 2011, the DRC held their second national elections of the 21st century, led by the newly established Independent National Elections Commissions (CENI). CENI is a Congolese based organization responsible for the electoral process. Upon the establishment of CENI, the role of international actors decreased compared to the 2006 elections. The 2011 elections were almost entirely domestically organized and funded. The Carter Center was invited by CENI to observe the 2011 elections. The elections were an opportunity to see if CENI could manage the electoral process, and also a chance for the Congolese people to impact the trajectory of their young democracy, in which they were to vote on a constitutional amendment that would change the presidential election to a single round plurality. The Carter Center employed both long and short-term observers to watch the voting process at various precincts across the nation and to record the opening, voting and closing procedures. 2006 and 2011 were the freest and most inclusive elections for the Congolese people to vote and exercise a basic human right since the mid-20th century. The Carter Center was invited by the Independent National Elections Commissions (CENI) to observe and monitor the elections. Over 70 long and short-term election observers monitored polling stations across the country. The Carter Center found that the CENI election results were not credible. It is unclear and unattainable to find out who actually won the 2011 elections. The legitimacy of the young DRC democracy was undermined, rather than strengthened, by the 2011 elections. The 2006 transitional elections were intended to provide national structure in the DRC’s post-civil war peace bargaining process. As well, it was the first opportunity for the Congolese people to exercise their human right to vote. However, there were considerable logistical challenges in the coordination and protection of free and fair elections, including voter registration, the compilation of results and voting procedures. The DRC covers 2.3 million kilometers and is the second largest nation on the African continent. It includes the main city province of Kinshasa and ten other provinces across the nation. The president and parliament are elected by direct universal suffrage, with the Senate elected by an indirect vote. The 2006 elections, the first in over 40 years, were marked by a high 65% voter turnout. The incumbent candidate Joseph Kabila was elected and inaugurated on Dec. 6, 2006. These elections were significant in sense that they put the DRC on the path towards a future of democracy, after years of dictatorial rule. The 2011 election was an opportunity to a political party to gain a legislative majority. It was the first election under the supervision of CENI and also had twice the number of candidates running compared to the 2006 voting. There were doubts that CENI was going to be able to hold the election before the Constitutional deadline of Dec. 6, due to disorganization and ballot box mismanagement. The expansive geographic footprint and lack of basic infrastructure made it extremely difficult for CENI to establish fundamental election processes and communicate electively with election officials across all eleven provinces. These expansive responsibilities proved to warrant a need for election monitoring. The infancy of the DRC democracy and CENI’s inexperience caused the organization to seek supervision from The Carter Center. The DRC was no stranger to international observers, aid and actors; and therefore CENI understood the benefits of electoral monitoring, in order to fix issues and help ensure an even more healthy democratic process in the future. CENI was established by Parliament with a leadership board composed of four members of the majority party and three members of the opposition party. Pastor Ngoy Mulunda was appointed CENI president. The organization was responsible for the development, implementation and execution of the electoral process. The Carter Center, an Atlanta, Ga. based organization that aims to improve freedom and democracy across the globe, specializes in conflict resolution and international project management that produce tangible results. The Carter Center organized, funded, and conducted the election monitoring, on both the long-term (several months leading up to the election) and short-term basis (several weeks leading up to the election). The Carter Center has observed over 80 national elections worldwide, and strictly follows the guidelines adopted by the United Nations in 2005 with the Declaration of Principles for International Election Observers. The United Nation’s current peacekeeping missions were in involved in the coordination and deployment of the Carter Center’s election observers to the distant and difficult to access voting precincts. The United Nations did not directly monitor elections, but the U.N. was helpful in overcoming the logistical challenges that the DRC posed for The Carter Center’s initiative. The Observers group included a portion of foreign and domestic individuals. The Carter Center believed that it was critical for the long-standing health of democracy in the DRC that some residents be trained and gain experience in election monitoring, in addition to the presence of experienced foreign observers. The short-term observers group included former Zambia President Rupiah Banda and the Carter Center Vice President Dr. John Stremlau. Four months prior to the election, on August 17, 2011, ten long-term observers (LTO’s) were dispatched throughout the country to travel to the distant and disconnected precincts to review the pre-electoral preparations, plans, structures and political climate. The following month, ten more LTO’s were deployed across the country to assist in the pre-election observation process. The Carter Center observers were unable to attend every single precinct, however due to the implementation of the LTO’s, a large geographic sample was observed. The Carter Center found many challenges in the observation process. These challenges were shared by CENI in their election organization, and were mostly due to the lack of infrastructure in the DRC. Shortly before the election in November, 40 short-term Observers were deployed to observed polling, vote counting and calculations. On Election Day, all Observers were required to view the opening of at least one polling station, voting in at least ten polling stations, and the closing and vote counting in one polling station. Observers completed forms for recording their results and used a telephone to relay their findings to a Carter Center office established in the city of Kinshasa. The election was held November 28th, but voting was extended in some regions until the 29th and even the 30th. Some precincts were delayed waiting for paper ballots to be flown in from South Africa, which was another logistical challenge that CENI attempted to resolve. In many regions, Observers were extremely complimentary of the local election officials, especially in remote areas. These officials worked tirelessly to meet the election guidelines and registration deadlines. The Carter Center found that their demonstrated performance was equal to or above the international standard. However, the Observers noted in the more developed Kinshasa region some of, “the worst examples of mismanaged voting procedures and results compilations.” These discrepancies can be explained by the presence of the political opposition in the Kinshasa region, which was against the elections and wished to remain in power. Other regions also had peculiar results. In Katanga, there was implausibly high voter turnout, with results favoring the incumbent with over 100 percent margins. The Observers were unable to determine the source of these potential problems. It is possible that these results are due to ballot box stuffing, mishandled ballots, or even vote suppression. Observers found considerable Election Day confusion by voters who arrived at the wrong polling location and were unsure where they were supposed to vote. The national average turnout was 58.9 percent of registered voters. As stated above, some regions recorded 100 percent voter turnout, all in favor of the incumbent, which raised further doubts about the credibility of the voting results. Observers noted voter ballot envelopes damaged and wet on the ground in some precincts, and even saw wet result forms hung out on a line to dry. This mismanagement caused over 1.2 million votes to be lost on Election Day, with the majority of these losses in the Kinshasa region. On December 9th, CENI announced the provincial results of the election. Incumbent President Joseph Kabila earned 48.95 percent of the vote, with the next closest candidate Etienne Tshiesekedi earning 32.33 percent. The very next day, December 10th, The Carter Center released a report stating that the election results lacked credibility. This conclusion was due to near 100 percent voter turnout in over a dozen regions, the loss of a significant number of polling station results and vote totals for the incumbent Kabila near 100 percent in several regions. The Carter Center concluded that CENI’s overall electoral management was poor. The runner-up candidate, Etienne Tshiesekedi, declared himself President on December 23 and demanded that Kabila resign from office, on the basis of inaccurate election results. Multiple public protests occurred following the release of election results, and there were 36 confirmed killings by the police, according to a U.N. report. The legitimacy of the young and fragile democracy in the DRC was undermined, not strengthened, by the 2011 elections. The major democratic institutions: the office of the president, the National Assembly, the election commission, and the Supreme Court failed to respond to any criticisms or the demands for an electoral recount and challenges to the results. Therefore, these institutions do not reflect the democratic principles in which they were intended to represent. The Carter Center hopes that these institutions may support genuine democratic elections in the future. As well, the Carter Center encourages that the composition CENI leadership be reformed to include members that reflect all Congolese political actors, not just members of the major parties. This narrow-minded leadership board did not represent the interests of all Congolese voters. Furthermore, the Carter Center urges that the DRC Parliament allow CENI eighteen months in preparation for the next national election, a considerable increase in time from the seven months CENI was given in 2011. This time increase would allow CENI to improve organization and communication between officials and voters. The Carter Center monitoring revealed that the CENI’s electoral organization and execution did not reflect the democratic principles in which it intended to fulfill. This diagnosis is discouraging, but not surprising due to the factors described above and the chaos observed at and around the polling stations during the 2011 election in the DRC.